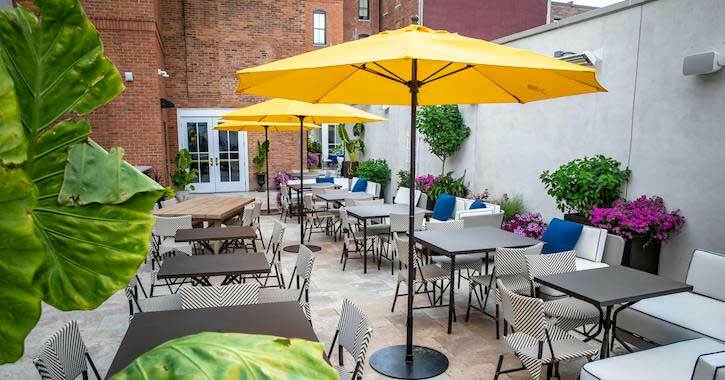 This June, The Adelphi Hotel opened their latest and greatest dining option right on Broadway in Saratoga Springs — the Adelphi Hotel Wine & Beer Garden. Sit on the hotel’s rear patio, decorated beautifully with flowers and vibrant colors. The Adelphi Hotel’s sushi menu boasts an extensive collection of specialty sushi rolls, from French Cake (spicy salmon, avocado topped with salmon, yellowtail, tobiko, tempura flakes, and more) to the classic Spider Roll (soft-shell crab with cucumber, avocado, and eel sauce). Enjoy sushi boats and lighter fare such as the baby kale salad and the lobster roll. The Adelphi Hotel Wine & Beer Garden also offers a selection of artisanal beverages, from strong spirits to draft beers. For nonalcoholic beverages, the Adelphi offers freshly squeezed juice, Saratoga water, and more. Visit the Adelphi for a refreshing drink and a bite of sushi right in the heart of downtown Saratoga!